Yamaha PSR Keyboard - Everything You Need To Know About It! 1. PSR Keyboards for a beginner. 2. PSR Keyboards for the advanced player (Arranger Workstasion). The PSR Yamaha keyboards include only 61 keys, in other words, 5 octaves. Si if you're looking for a keyboard that may be used as a substitution for a piano it's be better to look for at least six octaves instrument, or a digital piano. The thing is that since 1984, Yamaha had produced over 100 different models of PSR keyboards. Today you can find dozens of different Yamaha PSR keyboards. So how would you know which one is the best for you? There are some features that you should consider when you buy a keyboard for you or for your child. 1. Touch response - It means that the faster you'll fall to the key the louder it will sound. Today, most of the Yamaha keyboards have a touch response, while there are some levels of quality of this feature. (the highest is the Graded Hammer Action). The Graded Hammer Action is like having a real piano, but it is unnecessary for a beginner since it immensely raises the price. On the other side there are PSR keyboards in which no matter how hard you press, you get the same volume. As a piano teacher I must say that it is necessary to have a keyboard with a touch response. You can find a good Yamaha PSR keyboard with this important feature for just 160$. 2. The sound of the piano - keyboards can have a lot of cool features, but eventually the most important is the sound of the piano because that's what you're going to practice with most of the time. The great advantage of Yamaha keyboards is that they are the only company that produces acoustic pianos as well. They know how a real piano should sound. 3. YES - Yamaha Education Suite. - This feature basically is a self learning tool. 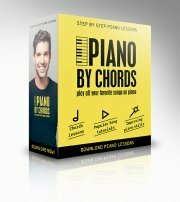 It comes with built in lessons for each hand, chord dictionary, and you can learn how to play various songs with it. 4. Sound Effects Kit - If the keyboard is for a child, he/she would love to play with this feature. It will motivate your child to spend more time with the keyboard. There are a lot of additional features such as accompaniment tool, Midi connection and more. These are pretty cool features, but usually are unnecessary for a beginner. Let's try to focus on the important features: touch response, sound of a piano, YES - Yamaha Education Suite. Don't waste your money on features that you will probably not use. And that's not the whole list! I checked it out and the prices of PSR keyboards are very low. You get an effective tool for just 100$-250$. Yamaha PSR-E223 - around 100$ , Yamaha PSR-E323 - 150$-200$, Yamaha PSR-E423- around 250$. I would deeply recommend buying the PSR-E323 because of its responsive touch. It costs 60$ more than the cheapest one (PSR-E223), but it is definitely worthwhile to pay a little more for this tool. These prices are taken from the web. Usually, when you go to a real store the prices are higher. However, here is a good e-store in which you can find good prices for PSR keyboards. , They're called zZounds and they're reliable and cheap. zZounds gives you guarantee and a good service. You can also read there reviews of customers who bought different keyboards. The PSR keyboards series contains some of the coolest arranger workstations for the professional musician. You can perform with this keyboard, create your own music, record and arrange onboard. Polyphony - this means that the number of tones that can be heard at the same time. A beginner doesn't need more than 16-note polyphony. A more advanced musician needs a keyboard with at least 64-note polyphony. This will allow him to arrange, create and perform music professionally. Recording - PSR keyboards for beginners include a basic recording tool which allows you to record just a few songs on a few different tracks. The PSR-E323 for example, allows you to record only 5 songs on two different tracks. The advanced PSR keyboards come with a multi track recorder that allows you to record with 16 different tracks as much as you want, depending on the capacity of the built in hard drive. Accompaniment styles - While the Yamaha PSR keyboards for beginners contain around 100 accompaniment styles, the professional ones contain more than 400. This feature is very handy if you want to have one-man-band gigs. You can even create your own accompaniment styles. Bank of sounds- the Advanced Yamaha PSR Keyboards come with hundreds of different voices. The higher the price, the more authentic are the sounds. Internet connection - This feature is a must for the advanced musician since you can download and upload midi songs straight from your keyboard. PSR-S500, PSR-S550", PSR-S700, PSR-S550B, PSR-S710, PSR-S900, PSR-S910, PSR-OR700, PSR-A1000, PSR-1100, PSR-1500, PSR-2000, PSR-2100, PSR-3000 and PSR-8000. PSR-S500-750$, PSR-S910- 1700$, PSR-S710-1100$, PSR-OR700 (OR means oriental)-1300$. Advanced Yamaha PSR Keyboards contain hundreds of different features. It is important to understand the exact differences between the different models before you buy one. There are a lot of Yamaha PSR keyboards and it is easy to get lost between the different models. As long as you know your exact needs you will find it easier to make the right choice.